In response to customer feedback, we have now added a feature that allows you to change the default local directory File Cabinet Pro displays to any local folder of your choosing. Simply open the Settings window and select the “Folder Path” toolbar item. From there, you can change the local directory File Cabinet Pro displays. 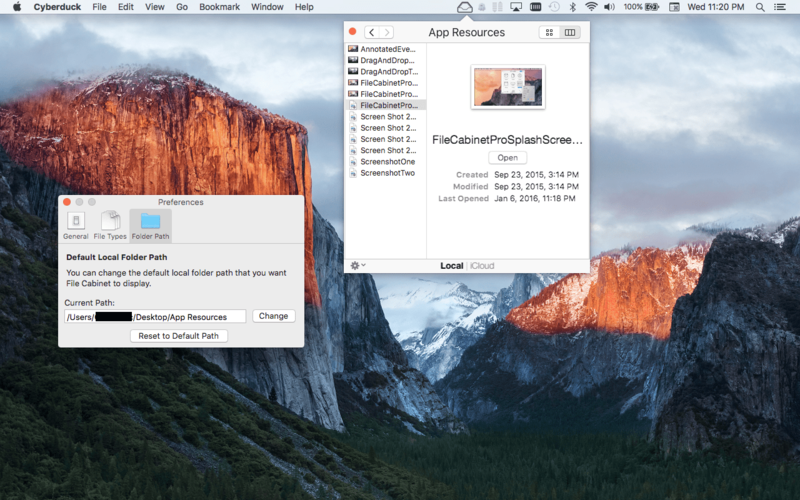 File Cabinet Pro is the file manager for the OS X menu bar. You can open, move, rename, tag, trash, copy and paste files, all from the menu bar. File Cabinet Pro also comes with a built in Image Editor (you can turn this feature off in Settings and open your images in another application if you want). In this little video, I show you how you can crop an image with File Cabinet Pro. Simply make a selection with the crop tool and then double click inside the selection box.